I will also be covering the 1985 Old Dark House revival film, Clue. Click here to skip to the talkie. Live in an insane asylum? Are you crazy? The Monster often gets relegated to a footnote in Lon Chaney’s filmography. Released in the midst of a hot streak (The Monster nestles between The Hunchback of Notre Dame, He Who Gets Slapped and The Phantom of the Opera), this curious old dark house comedy is dismissed as a misfire or a curio. But does it really deserve its poor reputation? Is there more to The Monster than meets the eye? Let’s take a look. The film opens on a dark and bizarre note. A pair of sinister creatures place a large mirror on a dark stretch of road. When a motorist sees his own headlights in the mirror, he swerves to avoid a head-on collision and wrecks his car. He is then spirited away by the hooded figures. This disappearance has caused no end of speculation in the small town of Danburg. Johnny Goodlittle (Johnny Arthur) is a local shop clerk who has been taking correspondence courses on how to be a detective. He finds an envelope at the scene of the crime, which has the name of a nearby sanitarium written on it. Johnny’s discovery is quickly dismissed. Everyone knows the sanitarium is closed. Why even bother looking? Johnny is in love with Betty (Gertrude Olmstead) but she has fallen for Amos Rugg (Hallam Cooley) the local sheik and Johnny’s superior at the shop. What with one thing and another, Betty, Amos and Johnny end up at the sanitarium on a dark and stormy night. They are greeted by Dr. Ziska (Lon Chaney). He seems a bit… odd. Maybe it’s the way he casually questions whether they will survive the night. Maybe it’s his ghoulish assistants, Rigo (George Austin) and Caliban (Walter James). The point is, something is not right. But all the doors and windows are locked and barred. Nothing to be alarmed about. I am a perfectly normal mad scientist. Can our trio survive the night? Will Johnny prove himself as a detective? Will Lon Chaney chew scenery? Well, I can answer the last question in the affirmative. I know The Monster gets a lot of flak but I really enjoyed it. I thought Johnny Arthur was cute as the nebbishy hero who has to grow a spine in the course of one night. As for Lon Chaney, he is clearly enjoying himself in this light role. Fairly light on makeup (just a grey wig and a bit of nose putty) and with all limbs in place, Chaney is able to focus on being one of the maddest, kitschiest scientists on the block. Amos and Betty meet the good doctor and Caliban. I should note that while The Monster is often listed as either the first or one of the first mad scientist movies, this is simply not the case. We have The Cabinet of Dr. Caligari, as well as the various early film adaptations of Frankenstein and Dr. Jekyll and Mr. Hyde. Chaney may have been the first intentionally campy mad scientist (more on that later) but it’s not quite the same thing. No so fast, kiddies. 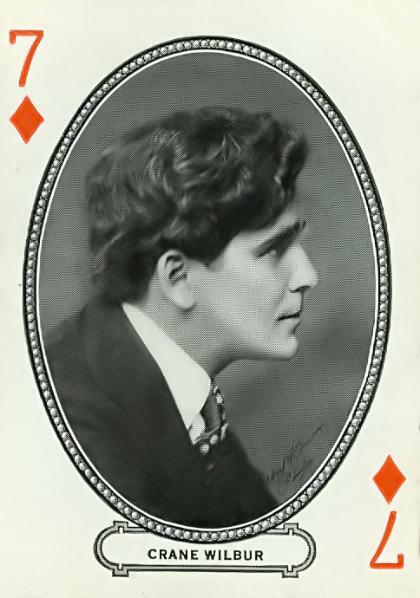 You see, The Monster is based on a 1922 stage play written by former matinee idol Crane Wilbur. The illustrious Dorothy Parker went mad for it. Ham with a side of corn? True but how very tasty! But this is a clue! It says so in the book! There is some debate as to whether Lon Chaney meant for his performance to be campy. I believe he did. Many viewers seem to think that irony and sarcasm are recent inventions and that silent performers could not possibly have been sophisticated enough to play a role as tongue-in-cheek. That’s just nonsense. The ability to perform hokum with a sly wink was highly prized in the silent era. Don’t believe me? Check out Joseph Schildkraut’s performance in The Road to Yesterday. Camp (the on-purpose kind) is not a modern discovery. Lon Chaney was highly intelligent and he had an excellent grasp of what his audience wanted. With the rest of the cast playing their humor so broadly, is it really so hard to believe that Chaney was in on the joke? Don’t sell Lon short! How could this be described as anything but camp? If director Roland West is mentioned at all these days, it is in connection to the mysterious death of the vivacious Thelma Todd. West reportedly confessed to her murder on his deathbed, though most sources I have consulted dismiss it as fantasy. THIS is how you do gothic. I say phooey! One Exciting Night had the components for a true Old Dark House but those had been invented for stage years before. Besides, One Exciting Night (like most Griffith features) moves at a snail’s pace. A proper chiller needs to be fast on its feet and have that perfect semi-gothic tone. Griffith had some of the pieces but he missed the point of the exercise and he ends up with what is essentially a very expensive serial. He should have just made a serial. Action was the one area where leading lady Carol Dempster really shone. How do you like that, Mr. Smartypants? I am giving Roland West credit for popularizing the Old Dark House feature. So there. Johnny is surrounded by Ziska, Caliban and Rinaldo. The one main issue viewers may find with this movie is that Caliban is supposed to be a “Nubian” and is played by a white actor in blackface-ish makeup. To be honest, I had no idea this is what he was made up as when I saw the film. Which is worse? A clear stereotype or a bungled one? In any case, it’s there. In my opinion, the critics who dismiss The Monster with a sniff seem to miss that it is a comedy. Ridiculous plot? Yes, but it is supposed to be ridiculous. That is the point. Complaining about the extravagant plot would be like watching a Keystone Kops short and grumbling that this police force is entirely too inept to function. Got it in one, Skippy! Mad scientists and monsters in an Old Dark House movie? Shocking! Is The Monster a great film? No. Will everyone like it? Again, no. You will need to be a fan of Johnny Arthur’s antics and get into the macabre spirit of the thing. If you can manage both of these, though, you should be fine. Chaney is always a treat. Your enjoyment of The Monster pretty much depends on what you are expecting. If you have coming for an All-Chaney Show, you will probably be disappointed at how little screen time he has. However, if you know ahead of time that he will be making a late and dramatic entrance, I think you will find much to like about this mad film. It’s not a masterpiece or anything but it is definitely a fun way to pass the time. The Monster has been released on DVD by Warner Archive . Sometimes, movies are even more enjoyable when paired. In this case, we are going to be matching Lon Chaney’s cult film, The Monster, with an Old Dark House mystery-comedy released precisely sixty years later, 1985’s Clue. Nowadays, movies can be based on pretty much any toy, game, song or phrase but back in 1985, basing a movie on a board game seemed a bit… odd. If you are not familiar with the game, the basic premise is that the players must guess who killed Mr. Boddy, what was used as a murder weapon and discover in which mansion room the murder occurred. A locked room or, in this case, locked mansion mystery. The movie took its board game origins one step further by having three different endings attached to film prints. There was an Old Dark House revival in the 1970s and 1980s. I have a childhood fondness for the Don Knotts/Tim Conway vehicle The Private Eyes but Clue is probably my favorite. The humor is wacky and the dialogue is highly quotable. The biggest asset, however, is the cast. Tim Curry presides over the fateful dinner party as Wadsworth, the butler. The guests are Mrs. White (Madeline Khan), Miss Scarlet (Lesley Ann Warren), Mrs. Peacock (Eileen Brennan), Colonel Mustard (Martin Mull), Mr. Green (Michael McKean) and Professor Plum (Christopher Lloyd). Everyone seems to be having a splendid time, with the ladies being particular standouts. The killing starts with Mr. Boddy (Lee Ving) and continues as more and more unexpected visitors arrive at the old mansion. Our six guests, plus the butler, must discover who the murderer is before the police arrive and arrest everyone. The humor ranges from high to low brow. Puns, wordplay, banter… Anything goes! And, frankly, when such a talented cast is assembled, anything goes sounds pretty darn good. While it tanked upon initial released, Clue‘s weird humor and dark content have turned it into a cult classic. I thought it was my private thing for years but then I started to see more and more references and GIFs showing up online. It took almost three decades but better late than never! Clue and The Monster are both cheery movies that have fun with their macabre material. They are both misunderstood but have gained a hard-earned following. Sounds like a fun double feature, Fritzi! And I know Crane Wilbur as the guy who wrote and directed a bunch of pretty cool film noir movies…I never knew he was also a matinee idol! I love horror-comedies (especially James Whales’ The Old Dark House from 1932), but I’m sad to say I didn’t find The Monster that funny at all. Most of the jokes fell flat and Chaney was about the only saving grace for me. Then again, this was about three years ago, so perhaps a re-watch will change my perception. Yeah, it’s hardly a masterpiece and the humor is not A list or anything but I have a fondness for funny little men so it was an amusing evening’s entertainment for me. Definitely not for everyone.